A reader of the site sent me an email to say that he had spotted this item at his local Hallmark store, and sure enough they had one at mine as well. It retails for $24.95. If the Jabba sculpt looks a little familiar, it’s because they’ve reused the Jabba from their 2013 “At Jabba’s Mercy” Christmas ornament. 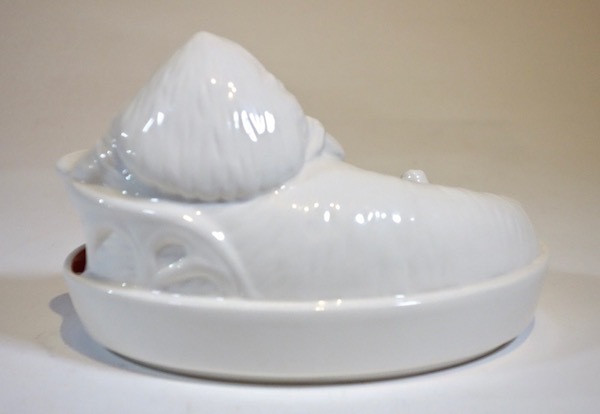 The tail is different — presumably to make room for the candy in the dish — but the rest is basically identical. I assume it was done digitally and then just resized for this product. 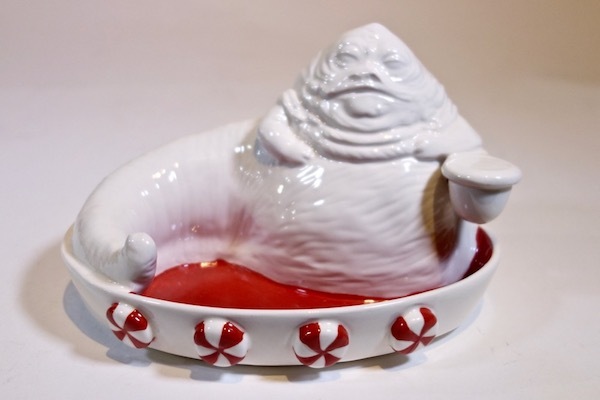 I do quite like the “candy dish as throne” concept, complete with peppermint candy gargoyles. New Jabba items are fairly rare — particularly ones that I can just go to a local store and buy in person. So I was quite excited to be able to pick this one up. Check out the video below for a bit of a closer look.